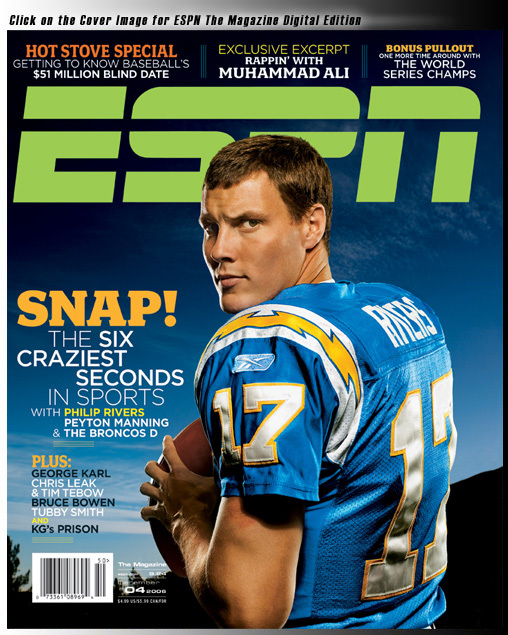 ESPN The Magazine Only $2.99! December 20, 2010 · by Zack & Katie · Post may contain affiliate links. See my disclosure policy here. Need a last minute gift idea for the guy in your life? Order this and print the receipt/confirmation and wrap that up! It'll be the gift that keeps giving all year long! I snagged a year at this price a couple of months ago, and now the deal is on again! I love this mag, it comes every 2 weeks and has great content.